Looking for a unique and interesting place to stay the night? We've got some of the best in Colorado! From a fire lookout on the top of a mountain to hotel where you can watch a Drive-In movie from your room, to the place where horror writer Stephen King dreamed of a family snowed in, we've got places you'll be telling your friends about for years. No 1. Squaw Mountain Fire Lookout. See that stone and glass building on top of the peak? You can spend the night up there! The Forest Service rents out the old fire lookout tower near Denver for about $100 a night. There's one set of bunk beds downstairs, in the stone section of the building. There are two more beds upstairs, in the glass-enclosed second floor where the fire lookouts would scout for fires. There's even a unique outhouse you have to see to believe. Because there's no water up here, the bathroom uses fire to take care of your business. The fire lookout does have a complete kitchen with a stove, refrigerator, coffee maker, toaster, sink, dishes and pots and pans. BUT there's no water. You have to bring all the water you need for drinking, cooking and cleaning. And did we mention you'll have to hike to get here? The parking lot is one mile away in summer, about two miles away in winter. Learn more here . There are lots of backcountry huts in Colorado -- some you can park at, some you have to hike miles and miles to get to and then there's OPUS hut. A hut that serves up a place to stay with incredible views and incredible meals. You won't be melting snow and cooking here, meals are included at this full-service, off-the-grid hut. Rooms are about $40 per person, per night. Plan another $40 per person for afternoon soup, dinner and breakfast the next morning. The hut is open year round. You can drive within a quarter mile of the hut in the summer. Winter access involves at least a three mile hike or backcountry ski adventure. Look closely at the building with the Carr Manor awning. 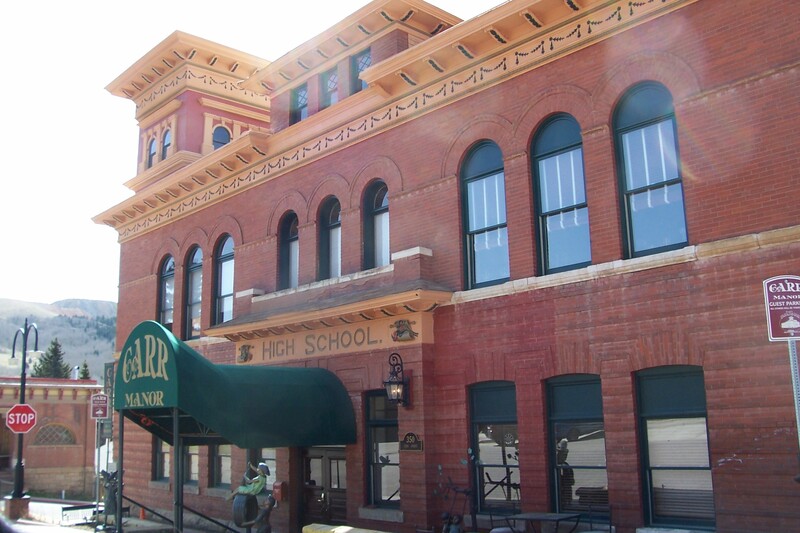 Yep, this is the old Cripple Creek High School built in 1896. 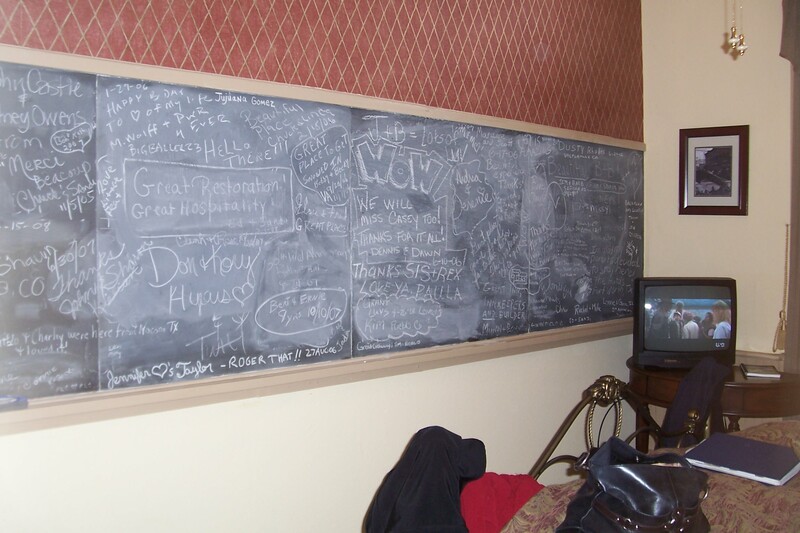 The classrooms have been remodeled into hotel rooms, but they kept the chalkboards. There's even chalk in the rooms, so you can write on the boards! The brick schoolhouse still has its original high ceilings and the halls are filled with antiques. The old auditorium is still here, but it's been remodeled into a Grand Ballroom for weddings, dinner theater shows and other special events. Rates vary from $100 to $400 a night, based on the room and day of stay. Learn more about Carr Manor . 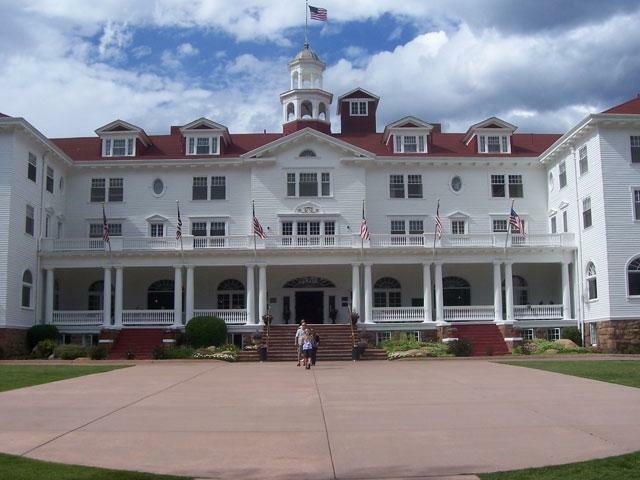 The Stanley Hotel in Estes Park may be the best known hotel on this list. While the grand hotel was built in the early 1900s to impress visitors from the East who were coming to the Western wilderness, the hotel became famous after it inspired horror author Stephen King to write "The Shining" here. The original movie wasn't set here, but the TV movie was. The hotel offers tours that include movie history and paranormal history and you can stay here, too. Room rates start around $200 . Bet you didn't expect to see a chain motel on this list, but this motel is unlike any you've ever stayed in before. That's because the Movie Manor is next door to an historic drive-in movie theater. Check into your room, open the curtain, turn up the speaker in your room and you can watch the drive-in movie, on the big screen, from the comfort of your room from mid-May to mid-September. Call in advance to check the movie schedule and season dates. The Movie Manor is in Monte Vista , in Southern Colorado, near Sand Dunes National Park. 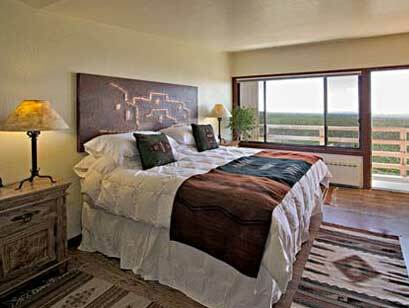 There's only one hotel inside a National Park in Colorado and it's the Far View Lodge at Mesa Verde National Park. The lodge doesn't have views of the cliff dwellings that made the park famous, but the name of the lodge is correct. Guests have views into four states from here, park officials said. The lodge rooms have no TVs or cell phone service, just great views, stargazing and wildlife watching. There's also a restaurant at the lodge, which is located 15 miles into the park. The Far View Lodge is typically open mid-April to mid-October. Rates start around $100-$120 depending on when you visit. Union Station in Denver wasn't built with a hotel inside and you can't see it from the outside. But inside, take a look up and you'll see the new floors. Yes, new. Before its remodel, Union Station was two floors. There was retail on the first floor and offices on another floor. Now Union Station is four floors! The first floor still has retail, but the second, third and fourth floors house the 112-room boutique hotel. The rooms on each floor are different. The "Pullman" rooms are on the second floor. The "Pullman" rooms are supposed to evoke train travel with a subtle art deco nod, according to the hotel's website. The rooms are rectangle-shaped, not square, more like a sleeping car room on a train. The "classic" rooms are on the third floor. The rooms are Victorian-inspired. The fourth floor rooms are the "loft" rooms, utilizing the old attic space. In those rooms some of the original wood timbers have been exposed and some have the original brick, too. 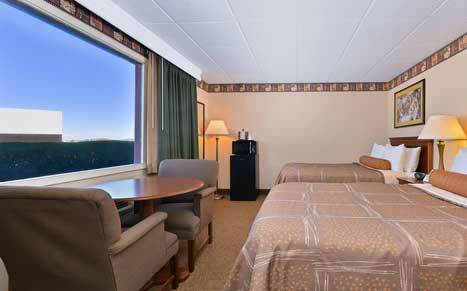 Rooms start at $266 , depending on time of visit. Learn 9 secrets of Union Station and the Crawford Hotel . What's your favorite unique place to stay in Colorado? Let us know on Facebook !